What Bob Corker Sees in Trump His concerns are widely shared. The senator deserves credit for going on the record with them. In early March I met with a dozen Republican U.S. senators for coffee as part of a series in which they invite writers, columnists and historians to share what’s on their mind. The consuming topic was the new president. I wrote some notes on the train down, seized by what I felt was the central challenge Republicans on Capitol Hill were facing. The meeting was off the record, but I think I can share what I said. I said the terrible irony of the 2016 campaign was that Donald Trump was the only one of the 17 GOP primary candidates who could have gone on to win the presidency. Only he had the uniqueness, the outside-the-box-ness to win. At the same time Mr. Trump was probably the only one of the 17 who would not be able to govern, for reasons of temperament, political inexperience and essential nature. It just wouldn’t work. The challenge for Republicans was to make legislative progress within that context. It was my impression the senators were not fully receptive to my thought. Everyone was polite but things were subdued, and I wondered later if I’d gone too far, been too blunt, or was simply wrong. Maybe they knew things I didn’t. Since then I have spoken to a few who made it clear they saw things as I did, or had come to see them that way. After that he turned serious, in an interview with Jonathan Martin of the New York Times . This is all pretty striking from a sitting senator, even one not running for re-election. At roughly the same time, some sharply critical pieces on the president were coming from the nation’s newspapers. The Los Angeles Times had a story on Mr. Trump’s reaction to Mr. Kelly’s efforts at imposing order on the White House: “The president by many accounts has bristled at the restrictions.” The article quotes allies of the president describing him as “increasingly unwilling to be managed, even just a little.” A person close to the White House claimed Messrs. Kelly and Trump had recently engaged in “shouting matches.” In the Washington Post, Anne Gearan described the president as “livid” this summer when discussing options for the Iran nuclear deal with advisers. He was “incensed” by the arguments of Mr. Tillerson and others. There are a few things to say about all this. First, when a theme like this keeps coming up, something’s going on. A lot of people appear to be questioning in a new way, or at least talking about, the president’s judgment, maturity and emotional solidity. We’ll be hearing more about this subject, not less, as time goes by. Mr. Corker deserves credit for going public with his reservations and warnings. The U.S. is in a challenging international environment; it’s not unfair or unjust to ask if the president is up to it and able to lead through it. But we are a nation divided on the subject of Donald Trump, as on many others, and so this is a time to be extremely careful. Unnamed sources can—and will—say anything. 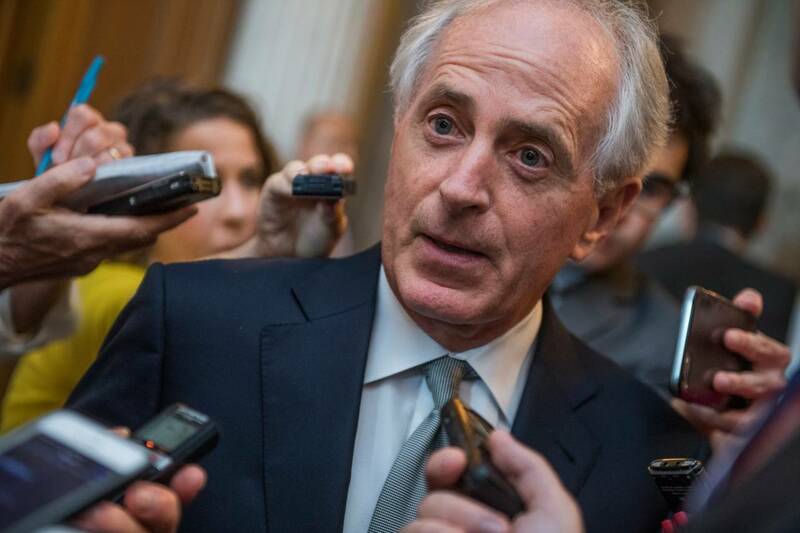 If you work in the White House or the administration and see what Mr. Corker sees, and what unnamed sources say they see, this is the time to speak on the record, and take the credit or the blows. What a delicate time this is. Half the country does not see what the journalists, establishment figures and elites of Washington see. But they do see it, and they believe they’re seeing clearly. It’s a little scary. More light is needed.